In 2019, CIOs will see the use of digitalized products and services drive new forms of growth. New sources of revenue, business value and opportunities to engage with customers and citizens require you to lead your organization to the next level. 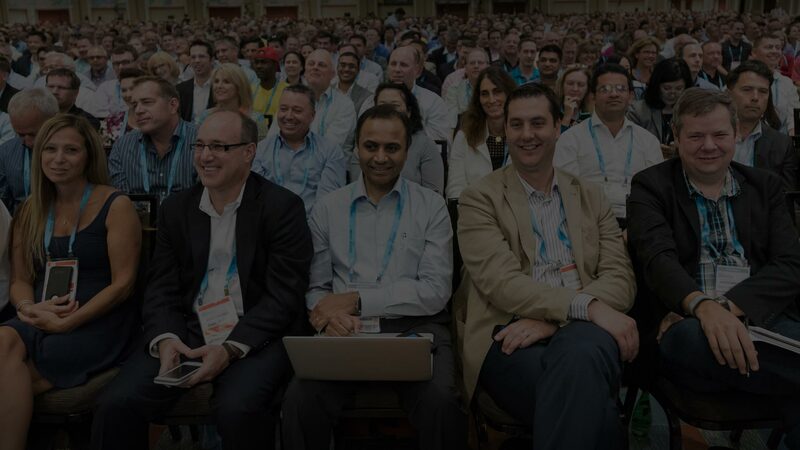 Gartner CIO Leadership Forum 2019 prepares you for your new job as a growth leader. Gain the inspiration, leadership skills and strategic ideas you need to succeed in this new era. Become a proactive and empowered business partner — shape culture, generate revenue and drive value. Build a strong professional network with leaders who understand your most critical priorities. Ignite innovation in your business by identifying and engaging intellectual capital and drawing on disparate networks of knowledge. including Gartner research, special offers and more. Our 2019 agenda is live, featuring immersive sessions that drill down on your biggest leadership challenges. In an era of constant change, customers’ wants, needs and expectations are constantly evolving. To succeed, you must put customer experience front and center in all of your strategies. To improve what you deliver again and again, CIOs must ditch the traditional IT project-focused mindset in favor of an IT product-focused approach. In this track, you learn how to make this change successfully, along with all of the processes, roles, operating models, methodologies and investments that will need to be altered as a result. Everyone’s a technologist, but it’s still up to you to do the hard work: Create and execute digital strategy, leverage emerging ecosystems, accelerate the pace of automation and co-create new digital business models with fellow C-suite stakeholders. In this track, you learn how to develop disruptive digital strategies, balance revenue-generating opportunities with cost optimization initiatives, fully embrace and integrate technologies such as artificial intelligence, and successfully manage critical digital business risk factors. In today’s rapid-change environment, culture is often an inhibitor to growth. Without a purposeful focus on individuals, teams and culture, organizations will not survive. As CIO, you must use culture to accelerate change, attract and nurture the right talent, and help people embrace the “new normal.” In this track, you get the culture hacks you need to build an organization grounded in innovation and growth mindsets, cultivate a diverse and inclusive organization, and develop the future of the workforce — with humans and learning machines working together seamlessly. Event dates not sync well with your calendar? Prefer the west coast? Like the mountains over the beach? Gartner CIO Leadership Forum offers the same event in two locations. View our sister event happening March 10 - 12 in Phoenix, AZ.